When we moved to Denver, one of the primary reasons was to be able to get outdoors and enjoy nature a lot more. Between moving to a new city, then buying and working on a new house, I didn’t actually feel like we’d done much of that, so this summer I planned to fix that. 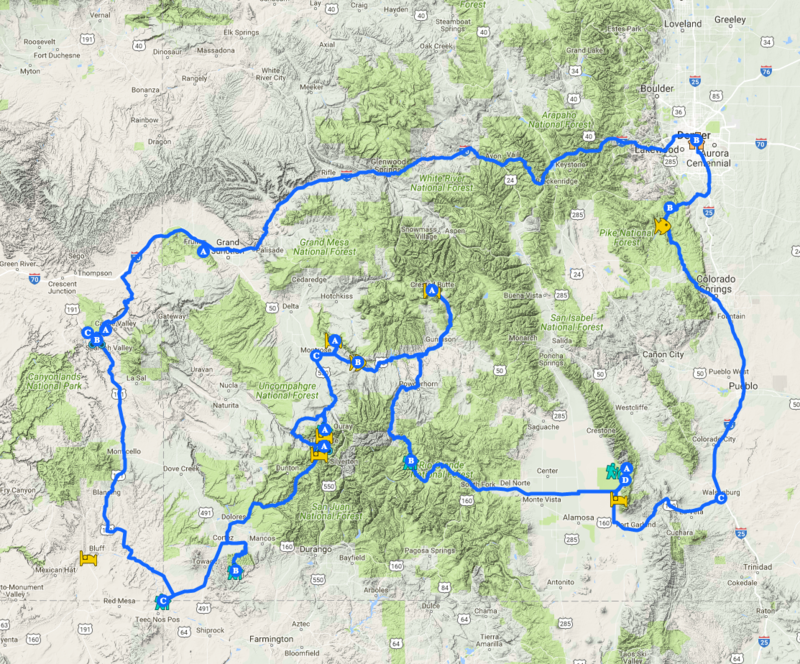 With a three month from sabbatical, I had a lot of time on my hands, so I planned to take a road trip, and combine it with a bunch of hiking, backpacking, fishing and mountain biking. I spent a week on the road, heading south from Denver, then across the bottom half of Colorado, into Utah, back up to I70 and across to Denver again. It was amazing. This post series will cover each day in a separate post, and will break down that portion of the trip, the things I did that day, and the things I saw. Keep an eye on this post, which will link all of them together.